With the development of Web 2.0 technologies, online document collaboration tools are becoming increasingly available, often free of charge. Although the technology is considered interactive and collaborative, it does not necessarily mean learners themselves will interact and collaborate. 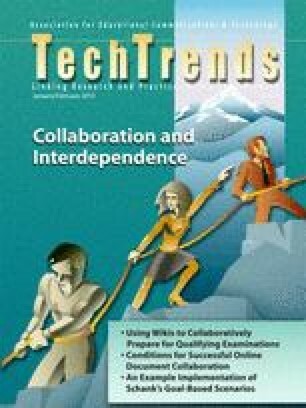 This paper discusses the conditions required for successful and meaningful collaboration, particularly when using technology. Collaboration is typified by participants engaged in a mutually beneficial relationship to meet pre-defined goals. To exemplify effective collaboration, the utilization of an online document collaboration tool is summarized.